The Jomsom Muktinath Trek is a travel adventure to high mountain region of western Nepal dominated by Dhaulagiri and Nilgiri Himalaya Range. The trekking course begins from the town of Jomsom ending at the Muktinath temple. The Jomsom is a town residing at the elevation of 2700 meters with the facility of Airport Terminal, major business center, lodging center for tourists and government district headquarter. Jomsom is the commercial and administrative center of Mustang District of Nepal and entry point to Muktinath temple. 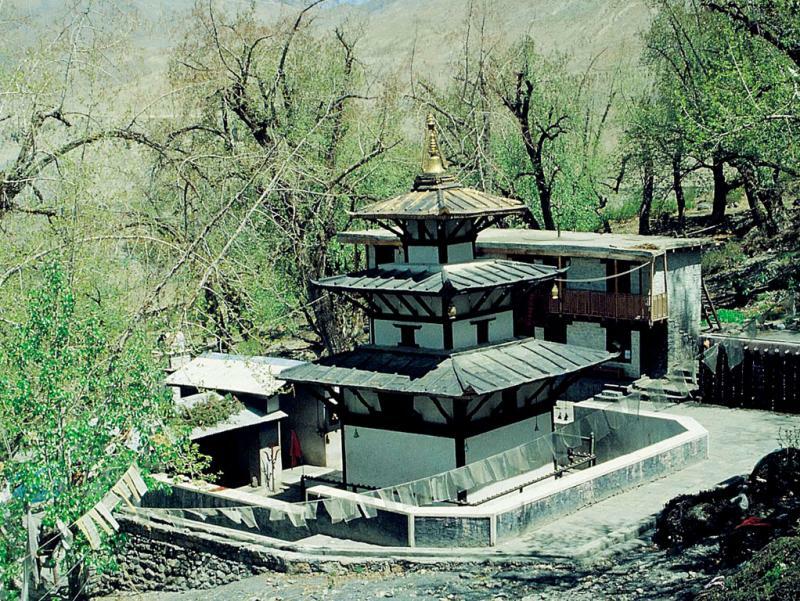 The Muktinath is a holy shrine for Hindus and Buddhists residing at the foot of Thorong La Pass at the elevation of 3710meters. The Muktinath temple is one of the ancient Hindu temples and eight most scared shrines of Vaishnava related to Tirupati and Badrinath. The temple of Muktinath has a golden statue of God Vishnu along a courtyard of 108 water sprouts made of bull faces which pours the holy Pushkarini water from it all the time. The Jomsom Muktinath Trek is a challenging trekking adventure facing the semi desert region of Mustang and following the barren banks of Kali Gandaki River. The travelers have the option to take air-flight or vehicle ride to Jomsom district headquarter. The travelers land at Jomsom and start their trekking course towards Muktinath. The breathing natural beauty is experienced during trekking from Jomsom to Muktinath. The trekking trail follows the kali gandaki river domainated by Annapurna Himalayas on one side and Dhaulagiri Himalayas on other side. The trekking trail passes through lower mustang region ending at the village of kagbeni. The travelers after getting rest move towards Muktinath temple which is the end point of trekking trail.